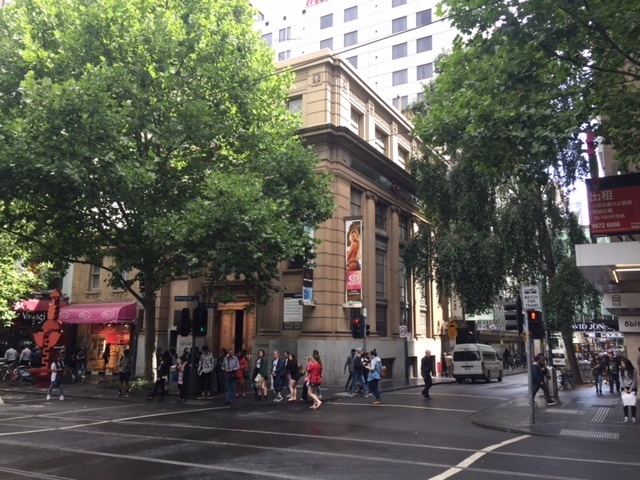 The Former ES&A Bank at 219 Swanston St is placed on the Victorian Heritage Inventory, for its potential to contain historical archaeological remains associated with the settlement and growth of early Melbourne and its is of architectural significance as a notable example of the popular 1920s Greek neo-Classical revival. It was built for the English, Scottish and Australian (ES&A) Bank in 1928 by Clement Langford to a design by Henry Hare. But as leading defence lawyer, Michael Tooma will tell you, looks come second to providing a safe workplace. Early in the planning phase, MGS Architects engaged Workplace Access & Safety as the design consultant for the facade access system and the safe roof access system. Workplace Access & Safety’s inspectors reviewed the architects drawings and visited the site to perform a risk assessment to identify the hazards. The East, West and North facades required access for external glass cleaning as well as access to the new glazed canopy for cleaning. Once the risk assessment had been completed Workplace Access & Safety’s designers were put to work to design an access system that was going to provide a safe working environment while minimising the visual impact. A combination of roof anchors for rope access and EWP were used to safely access the facade. Defender Abseil Anchors are load rated for abseil use and comply with AS/NZS 5532. The result was a design package MGS Architects could take to the market including a project specification, layout plans including roof layout plans and design detail overlayed onto existing CAD drawings.